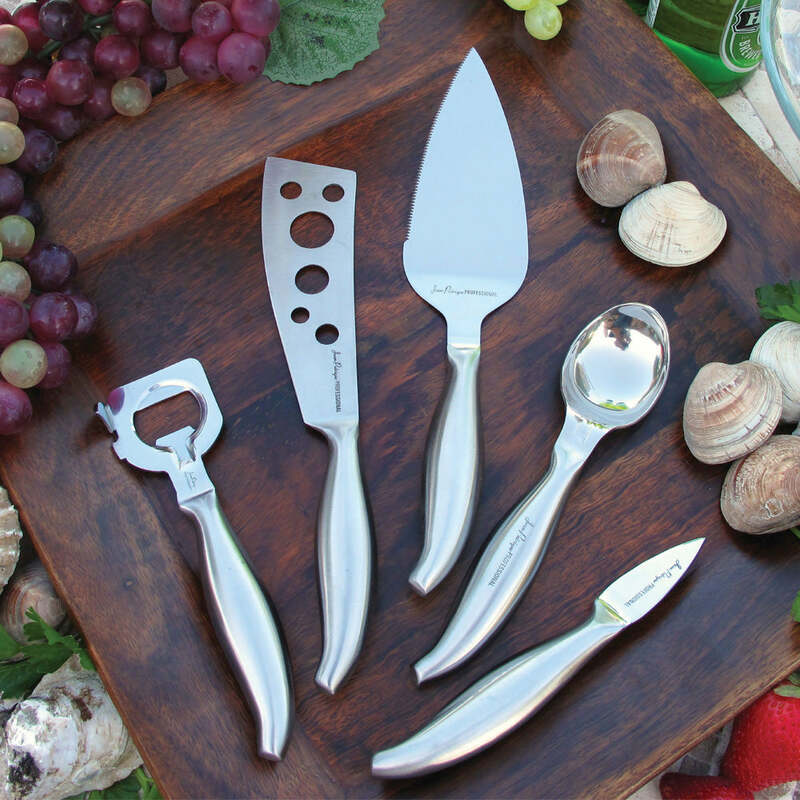 Forget about the old designs of knives and replace them with our luxurious 5-Piece Titanium Knife Set - White/Gold Handles. Give your kitchen a slick look with this stunning 5-piece set of titanium gold coated knives that simply ooze class and sophistication. 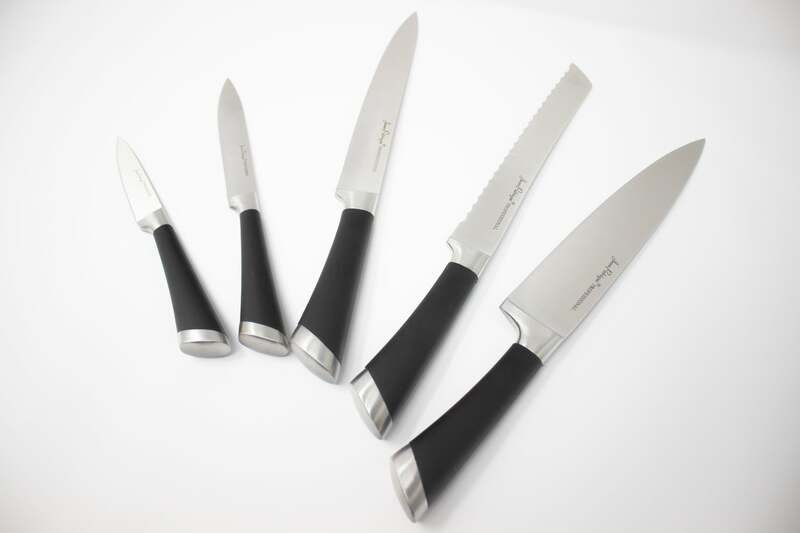 Jean Patrique Professional Cookware introduce this amazing range featuring 7” carving knife, 7” bread knife, 6” Chef’s Knife, 5” utility knife & 3.5” paring knife for all the cutting jobs in the kitchen. The precision made stainless steel blades are beautifully coated in titanium giving them a stunning look and even more strength & durability for a longer-lasting cutting edge. Include attractive white and gold handles to ensure a stylish look and a strong comfortable grip that won’t let you down in the kitchen. HIGH-QUALITY – Our delux set of knives are made with the finest titanium gold coat to make sure our customers get the best of the best. ERGONOMIC HANDLES – Your hands will never get tired while handling these knives because of the specially designed ergonomic handles that fit into your hands perfectly. SLICK LOOK – Not only do they cut like a charm, they look the part as well. EVERYTHING YOU NEED– We made sure you have everything in one place. Our set comes with 7” carving knife, 7” bread knife, 6” Chef’s Knife, 5” utility knife & 3.5” paring knife. EASY TO CLEAN – Because of the high quality material, nothing sticks to the knives and that’s why they are a heaven to clean.